*Present address, Phasics S.A., Campus de l’Ecole Polytechnique, 91128 Palaiseau cedex, France. †Present address, General Atomics, P.O. Box 85608, San Diego, California 92186-5608; e-mail: fuchsj@fusion.gat.com. ‡Present address, Departement de Physique Theorique et Appliquee, Commissariat à l’Energie Atomique–Direction Ile-de-France, 91680 Bruyeres-le-Chatel cedex, France. 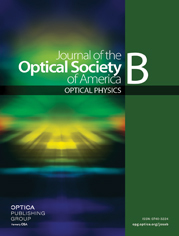 Adaptive optics systems offer the prospect of significantly increasing the capabilities of high-power laser focusability, which is currently limited by thermal distortions. Using novel wave-front measurement techniques that improve the stability of such systems and a downstream large-aperture deformable mirror that does not bear the usual limitations associated with precompensation, we have improved the focusability of a high-power (6×100-J, 1-ns) Nd:glass laser facility by a factor of 6. Measuring the wave front and the on-target focal spot at full power, we obtained after correction focal spots with a best Strehl ratio of 0.6. The pulse peak intensity could thus be increased to ∼2×1016 W/cm2, a level beyond reach of the usual focal spot shaping techniques. We then used the near-diffraction-limited focal spots produced by this system to measure the laser–plasma coupling for a single, controlled filament of light and to underline the importance of the coupling among the numerous speckles within conventional multispeckled beams.